This is why dad’s usually the one that cleans up around the house. 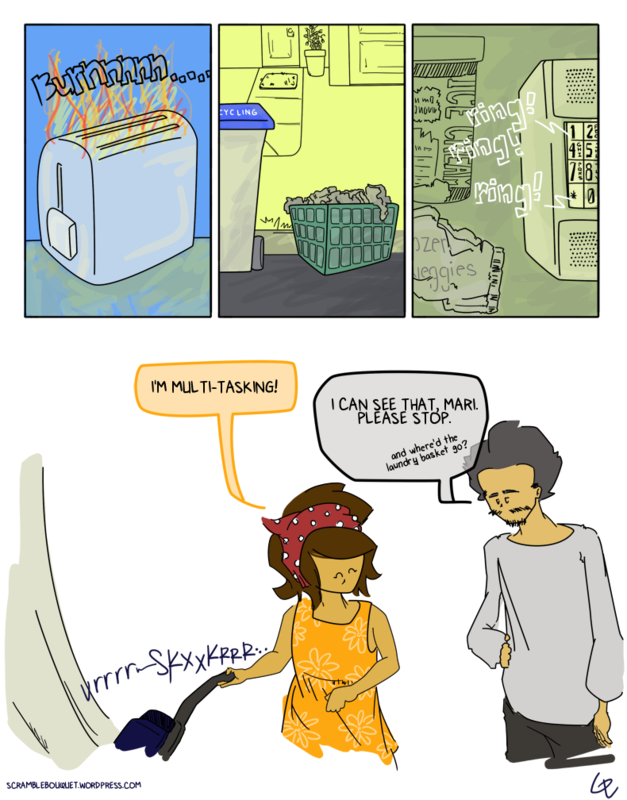 Also, two comics in a row where I dress up one of the parents in something besides a standard shirt. Yeah, progress! …in other news, I started work at an office the other week (where I may or may not have been caught doing rough sketches for this very strip). It’s full-time, and the commute’s a pain, but regardless I’ll be posting every Wednesday as per the norm. Because y’know… so many people read this.